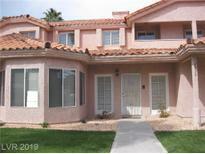 Below you can view all the condos for sale in the Westwood subdivision located in Las Vegas Nevada. Listings in Westwood are updated daily from data we receive from the Las Vegas multiple listing service. To learn more about any of these condos or to receive custom notifications when a new property is listed for sale in Westwood, give us a call at 702-323-5933. Sparkling pool/spa*Custom 2 tone paint and upgraded flooring*Custom lighting, fans and fixtures*Plantation shutters*Island kitchen with stainless steel appliances*Family Room with Gas Fireplace and built-in entertainment*Master Ste has walk in shower, designer tub, walk in closet*2nd Bedroom with private bath* 3 and 4th Bedroom with Jack and Jill bath* MLS#2087167. Local Realty. There's a covered patio for relaxing with your morning coffee or evening beverage. MLS#2083778. BHHS Nevada Properties. TaxStar incorrect - total sq ft of home apprx 4,874. MLS#2068284. BHHS Nevada Properties. Condo is approximately 3 miles to the Las Vegas Strip and approximately 5 miles to the Las Vegas Raider's Stadium. All appliances included. MLS#2067672. Win Win Real Estate. Game Room with Bar, Office, Courtyard Entrance, Granite Countertops, Dining Room with Wood Floors and Chandelier, Sparkling Pool & Spa. MLS#2062355. Synergy Sothebys Int'l Realty. Large Second Bedroom W/ Walk-in Closet. This One Won'T Last! MLS#2018720. Coldwell Banker Premier.